Struggling to think of present ideas for friends and family this Christmas? No need to worry - Dimplex have the perfect stocking fillers to warm hearts! 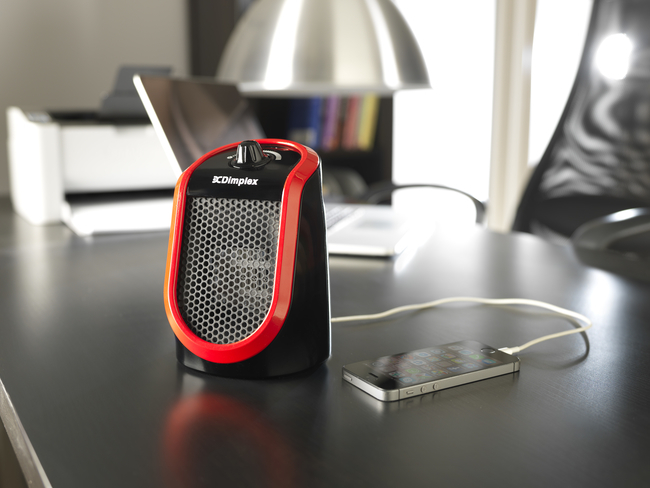 Desk Friend is a small, personal heater providing a comfortable 250-watt single setting for an instant top-up of personal warmth and is specially designed not to lift and blow your papers across the desk as soon as you turn it on. The Desk Friend’s safety feature automatically switches itself off it accidentally knocked or kicked over. This innovative gadget also incorporates a handy USB charging port compatible with both smartphones and tablets, ensuring they remain topped up, even during the most demanding of working days. 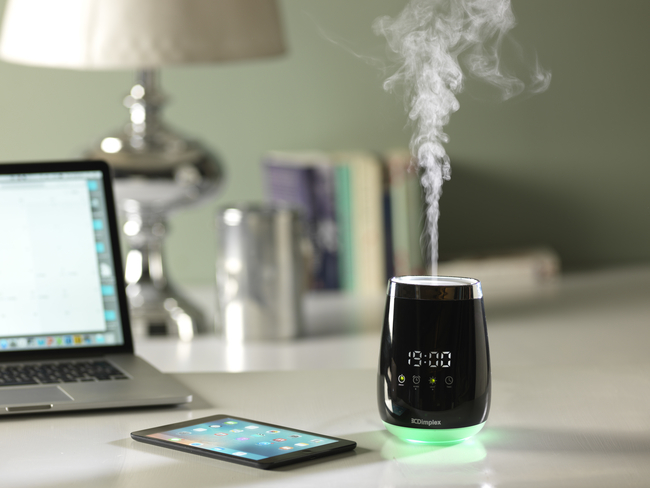 The Dimplex Electronic Aroma Diffuser uses whisper quiet ultrasonic cool mist technology to scent your room by adding a few drops of your favourite aromatherapy oil. It will also subtly humidify the air for up to five hours with just 100ml of water. Colour-changing LED mood lights set in the base subtly illuminate the room for added relaxation. A digital alarm clock function also means you can be eased awake with the gentle play of light and scent, or use the time functions to delay start. The Studio G is designed to fit seamlessly and stylishly into any living space. 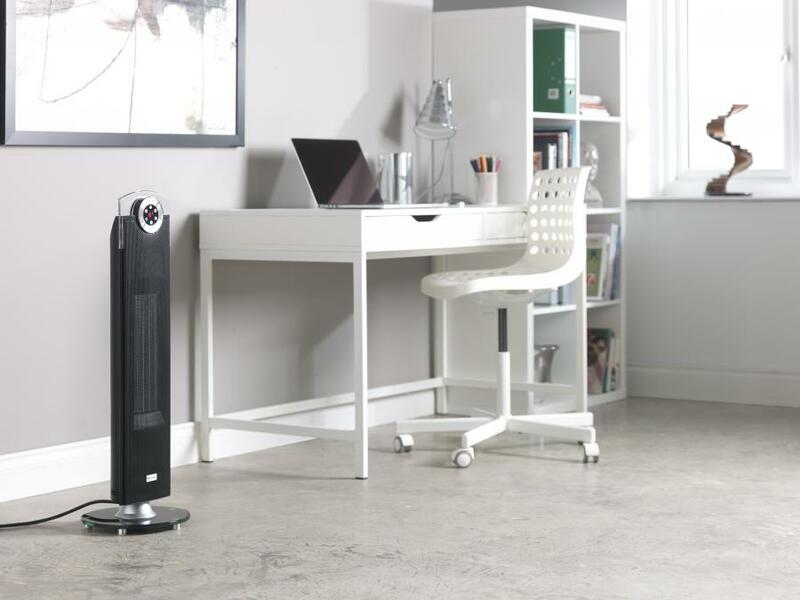 The speaker-style tower heater with smoked-glass base provide both a contemporary and sophisticated look, which is complimented by the LED display and touch panel with remote control operation of the run back timer, heat settings and oscillation feature. The 76° oscillation ensure the Studio G delivers fast, even heat across a room and the digital thermostat can be economically set to maintain your desired temperature. 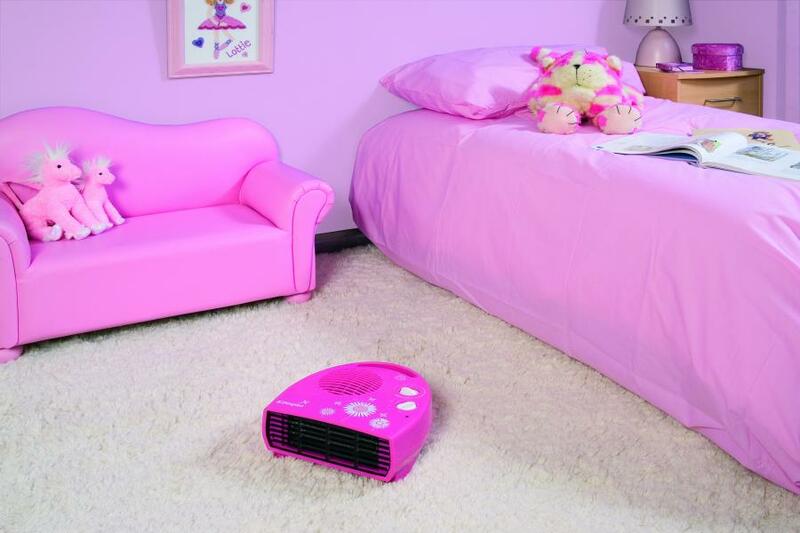 The 2kW Daisy Fan Heater is a joyful way to heat up your room. It is ideal for spot heating when instantaneous heat is required. With thermostatic control and a choice of heat settings, including a cool air setting, and compact, easy-to-move styling – it’s the perfect, playful addition to all kid’s rooms. Click here to find your local Dimplex retailer!